SS7 SkyTrack is a unique SS7* protocol based solution designed to locate, track, intercept and manipulate GSM / UMTS / 3G / 4G (LTE) subscribers covertly virtually anywhere in the world, all in real-time using a very friendly GUI and graphical supported maps. SS7 SkyTrack’s location finding capabilities are based on the ability to send and handle standard signaling messages (MAP) through the international SS7 network (SS7 vulnerabilities). SS7 SkyTrack presents subscriber information on a Country/Network/LAC/Cell level, provides accurate, real-time data of suspects and people of interest. The system stealthily ascertains status, location and movement of targets, from anywhere in a city and/or area to the entire country and beyond borders, pinpointing them with high accuracy in real-time. This cell phone spy solution does not require any special hardware or software installation neither in the cellular network nor in the mobile phone. In spite of that, it can track virtually any subscriber in the world, in a covert way, even if the subscriber’s mobile phone is not GPS enabled. The exchange of subscriber information between mobile carriers is done using SS7 messages, are commonly used by most operators. How the SS7 surveillance system works? The Client Management System (CMS) is the “face” of the system presented to the client. It holds the user interface, and the business logic to interact with the core (client core or system core). The client system has its own database that holds amongst other pieces of information the media files location, target locations, request results, etc. Block a subscriber from receiving incoming calls and text messages. *SS7 (Signaling System 7) is a common channel signaling system used for international and local phone networks all over the world. SS7 SkyTrack enables interception of phone calls, SMS and call related information of almost any GSM/UMTS/LTE target phone, without the need to be close to the intercepted phone and without the consent of mobile network operators. 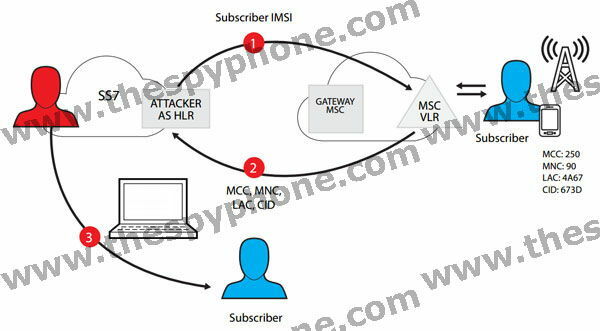 Our SS7 solution requires only the mobile device’s phone number or IMSI. a unique all-in-one solution of full protection against active GSM interception systems and IMSI catchers. Designed for companies or individuals looking to secure their private information and identity. View Details.